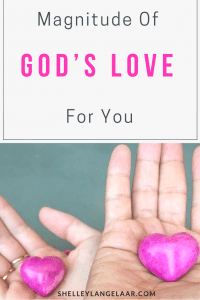 Are you aware of the magnitude of God’s love for you? 1 John 3:1 ~~ See what great love the Father has lavished on us, that we should be called children of God! And that is what, we are! God is in love with you. In fact, He is so in love with you that He has given you everything that He has. We need to start believing this. When we start to believe it, we will start to actually live it. 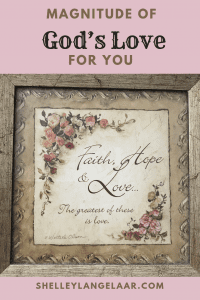 Every morning when we wake up and every night before we go to sleep we need to say out loud, “ I believe the love the Lord has for me.” Doing this will help it to get deep within our spirit and will build up our faith. What a wonderful thing to know — God loves you. He doesn’t just love you a little bit, but bunches and bunches and oodles and oodles. There is no measurement for His love. Not only is God’s love unmeasurable. His love is endless. There is no expiry date on His love. It is never ending and it is lasting. Sometimes I admit I have forgotten this. I have either allowed the curve balls of life to distract me, or I have simply grown complacent. I have often gone throughout my day not even realizing just how much I am loved. In fact, I am not even sure if I have ever grasped in totality the magnitude of His love for me. The more time that I spend with Him, the more my eyes and heart are opened to the magnitude of His love. I have realized that I have often tried to attain His love through trying to become a better person. The fact is, God loves us as is. If we never change in any way again — He will still love us the same as if we were to change. There is nothing that we can do to make God love us any more than He does today. In addition, there is nothing that we can do that will make Him love us any less. It is through His love for us and our belief in His love that we start to return our love back to Him. 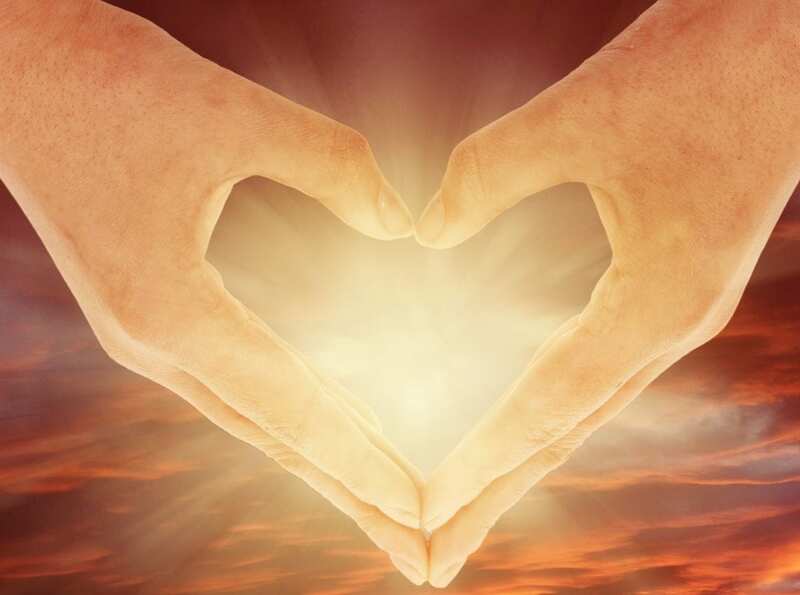 When we begin returning His love – our lives will ultimately change. The change is not something that we have to strive for. This love is what propels us to become more and more like Him. It is through the magnitude of His love and accepting this love, that we begin to take on some of His character traits. In order to truly grasp His love for us, it is imperative that we get to know the One that loves us to the highest degree. This is done by staying connected with Him. When you are building a relationship with others you spend time with them. You go for coffee and you listen and ask questions. You call them on the phone or text them to see how they are doing. Building relationship requires that we get vulnerable and start sharing with others who we truly are. The best relationships are when there is give and take. Who wants to be around someone who always monopolizes the conversation? Or is always being negative? Or is always wanting something from you? We need to build a relationship with the Lord the way we do with everyone else. When we spend quiet time with Him reading His Word, He shares with us His heart. We share with Him our heart through prayer. Are your prayers full of only requests? Is there balance? Do you spend the same amount of time listening to Him, as you do talking to Him? ~ pray – be mindful of not only talking to Him about all your problems and complaints – let Him also know what it is that you are thankful for. 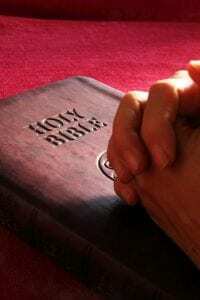 Is there balance to your prayers? Are you only making requests of Him or are you also asking Him what you can do for Him? The more time you spend investing in your relationship with God, the better you will be able to grasp the magnitude of the love that He has for you. “I believe the love the Lord has for me”. Thank You for a Your love. Thank you for showing me the magnitude of Your love. I pray that You will meet with me throughout the day and help me to see who You truly are. Thank You for loving each and every part of me – the good, the not so good and the broken parts. I want to know You more. Put within my heart a desire and thirst for Your Word. I ask that You meet me in the pages of Your Word and that You illuminate truths to my heart. Wow, Awesome grace is upon you. May his love and mercy continue to be your portion amen. I enjoy your post and would like to visit more often. Thank you for your visit. You are welcome anytime. Blessings. I have no doubt that God’s love covers us in all our varying states, expressing itself in the grace and mercy that he extends to us (even when we probably don’t deserve it). Thanks for reminding us that He is there for us if we receive him. I love this post. Most of my prayers consist of expressing gratitude. There was one time in my life when I was really sad and frustrated with the path that I was on. I was actually pretty angry with God. After a while, I got tired of feeling that way, but I could not seem to get my relationship with Him back on track. I couldn’t bring myself to ask Him for anything really (mostly because I didn’t believe he would give it to me, so I didn’t want to get my hopes up.) so I thought—Instead of asking him for things that I don’t have, why don’t I just tell him Thank you for what I do have and that’s it—. I tell you what, since I did that, I am happier and I feel much closer to Him. I have a long way to go. But He is with me. I loved, loved, loved your opening! 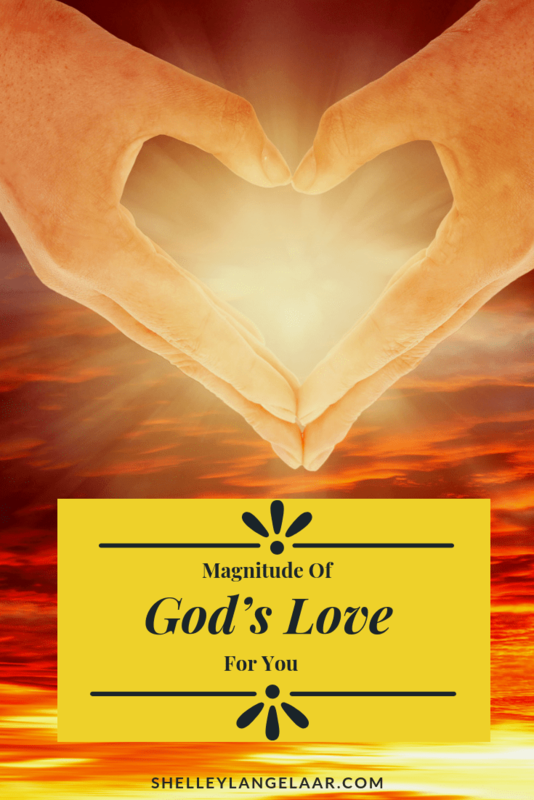 Are you aware of the magnitude of God’s love for you? Food for thought for anyone!! I find it absolutely awesome that God loves us so much that He has given us EVERYTHING!! Thank you. I am forever grateful for His love. Blessings to you. Oh, this is great. I especially love the part where you outline that prayer should be about seeking, listening, and giving thanks and that there should be balance to our prayers. I used to come before the Lord with all of my problems. Now I try to focus on coming to the Lord with a grateful heart and thankfulness for my life and for the cross. I’ve noticed that my heart is in a better receiving position to listen to His word and lessons when I approach Him with the right attitude. Amen and thank you for sharing! It’s always wonderful to know we are loved and cared for.